Neelam Stone is the powerful gemstone of Saturn. As per Vedic scriptures, blue sapphire has the power to turn a pauper into king and king into the pauper. One can say that this is the most valuable stone. Many astrologers said that this stone has cosmic connections. It is the birthstone for September born people. According to astrology, this sapphire is the birthstone of Capricorn zodiac. Also, it is considered as the birthstone of month September. Those people who are born under September month or belong to Capricorn zodiac can wear this stone without any consultation or confusion. This precious gemstone ensures wealth, luck and prosperity into their life. Yes, you heard it right. One can wear this stone if he is suffering from shani sade sate or its malefic effects. If a person is suffering shani dasha or sadesati period, he can wear Shani stone blue sapphire. It is said that this stone can bliss the life of those people who affected by Saturn malefic events in life. Carat: blue sapphire is extricated from forests, dense rocks and mines and this is the reason that sapphire is available in different size. This stone is measured in carats. 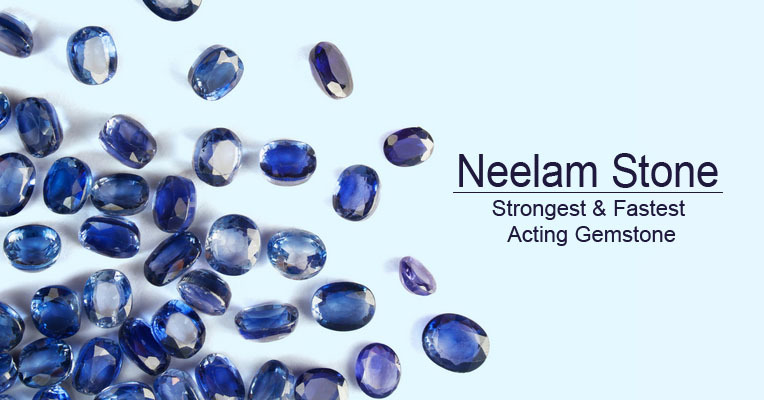 Cut: like all other gemstones, Neelam gemstone is also available in different shapes and cuts. This stone is available in different cuts like oval cut, round cut, Angel cut, prince cut, square cut etc. As per Gemology, the oval cut is considered to be the finest quality blue sapphire. Gemstone should pass the light at the proper angles to enhance the sapphire lusters. If a stone is very dark in color then the gem cutter should choose to make a shoal cut to bring more light in. Color: Appearance of stone may also depend on its color and lighting. Sapphire color depends on three main factors: hue, saturation and tone. The basic color of the gemstone is known as hue. This blue color sapphire can have green or violet secondary color components which affect their value and beauty. Violetish blue and greenish blue would be a more accurate hue of this sapphire. Tone describes the light or dark color and this also influences the value of the stone or sapphire. A very dark tone of sapphires is often described as inky. Now, let’s talk about the saturation of blue sapphire. In sapphire, saturation describes the purity and intensity of the color of the stone. Clarity: Nowadays, blue sapphire is heated to improve their clarity and appearance. And if blue sapphire is not heat treated then its price is very huge. How does color decide blue sapphire stone price? Blue sapphire is available in a large variety of color and this is the reason that color of the gemstone is affected its prices in the market. If its color is bright and it appears shiny then its price may be costly. Vivid blue and cornflower blue are mainly found in Kashmir and they are considered heavily priced and best quality and color. Midnight blue is the brighter shade of the Neelam and this quality of Neelam has more demand in the market. In present times, Ceylon blue sapphire has been a major source of this gemstone. It is found in Sri lanka. As we mentioned it above that Neelam Stone Price is depends upon its color, transparency, luster and cutting. The stone must have transparency in the stone that can allow the light and energy to pass through. This sapphire is one of the most expensive gemstones. Natural blue sapphire stone price range starts at around Rs 2000 per carat in India. Magical stone of Saturn can change your life and bring positivity in it. It is also beneficial for sorting issues like criminal cases, court cases or divorce cases etc. it helps to cure and fight bone cancer, kidney problem, nerve disease and paralysis. Saturday is the best and auspicious day to wear Saturn stone Blue sapphire. One should wear this stone in silver metal in the middle finger of the right hand of a person. You can wear this stone in pendant also. Men can wear this stone ring in the middle finger of their right hand whereas women can wear this ring in the middle finger of their right or left hand. It will depend on their choice and convenience. Blue sapphire can also wear in white gold. Chant this mantra at 108 times before wearing this stone : Aum sham shanaish charaay namah. It is very important to wear energized gemstone as it will give more benefits to the wearer. Shubh Gems provided fully energized gemstones which give astrological benefits to the wearer. Not only blue sapphire but all the gemstones and sub stones must energize before wearing it. This is the basic and most important rule of gemstones. If you are not wearing energized gemstone then it may fail to give you its energy or benefits as well. Energization process is very important in astrology. To energize a gemstone its planet yantra is chanted over it and it makes them more powerful and easy to give benefits to the wearer. Always consider a blue sapphire where gem identification and lab report comes in handy. It is proof that the gemstone you buying is genuine and not artificial. Lab report also consists of each and every detail of the stone. It will tell you about the quality and type and origin of blue sapphire. At shubh gems, we provide gem and lab report to our all customers with stone after making a purchase. Always do some research to know the best origin of sapphires. Try to buy the best quality of gemstone as it has the maximum effect and power. You can also the images on Google to know about the finest appearance and color of blue sapphire. But also keep in mind that one can easily modify digital images and they are not the genuine gemstone images. Blue is considered to be the most traditional color of sapphire. And medium to medium dark is the preferable tone of this stone. Do not buy the stone which has face up color zoning or uneven color. Also, avoid stones that have flaws like poor shape or noticeable window. Summary: blue sapphire is a blue hue gemstone which can change your life instantly. It will bring the wearer wealth, fame, name, health, happiness, prosperity and a good life. One should wear energized gemstone. It is said that mineral species corundum belongs to Neelam. This mineral is composed of oxygen and aluminum. 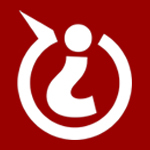 It requires a free silicon environment. Madagascar, Tanzania, Myanmar, Sri Lanka and Australia provide blue and fancy sapphires. Crystals, rutile needles, zircon halos and rutile silk is included in natural blue sapphire. These inclusions in the Neelam Ratna significantly indicate its natural origin. At present, Sri Lanka has been a major producer and source of Neelam stone. Kashmiri blue sapphires are considered premium and high-quality gemstones. Kashmiri sapphires are rare and they are not easily available in the market. Generally, smaller sizes sapphires are available in the market. Due to the exhaustion of Kashmir mines, its most of the sapphire become rare. Thailand is also a source of blue sapphire. These are very popular due to its affordability and high quality. Bangkok blue sapphires are suffered from heating process to enhance their color, quality and transparency. Apart from heating, any other treatment is not acceptable. You can directly order genuine quality blue sapphires of Sri Lanka and Thailand. We are able to provide best quality sapphires to our customers at a reasonable price. How to check sapphire is real? So many people are unaware of this fact that all sapphires are not natural and genuine. Generally, natural sapphires are found in the water or ground but synthetic stone is created in a laboratory. You can do few tests to know that blue sapphire stone is natural or real or not. Breath test : you can do breathe test to judge natural sapphire. Try the scratch test and shine a light in a stone to check a fake gemstone. Always ask the jeweler or gemstone seller that what type of gem he is selling you. Take a stone and fog it up. Now see how long it takes to start fading, natural gemstones fog clears up in one or two seconds. Magnifying glass : this will also help you to check whether your stone is genuine or not. To inspect the sapphire always use at least 10 x magnifications. If there are some small blemishes or specks in stone then it means your stone is real. In astrology, it is believed that the middle finger of right hand is ruled by Saturn. And blue sapphire is the stone of Saturn, therefore it should be wear in the middle finger of your right hand. This finger is also known as Madhyama in Hindi. As per Vedic astrology, the area below the madhyama finger is called shani parvat or mount of Saturn. This area is also ruled by the Saturn planet. Blue sapphire ring should be wear in the middle finger of your right hand on Saturday morning or evening. Every gemstone is measured in the unit of ratti. The price of gemstone increases with the size of stone or ratti. The price of sapphire is expressed as per ratti. How much ratti should be worn? Choosing the weight of gemstone is dependent upon various factors like body weight of the wearer, quality of the stone, the stone should be touched the skin or in contact with skin and stone should not make any problem in your regular lifestyle. Generally, 4-8 carat is most widely worn and below the 4 carat stone are too small to make contact with skin. How many carats blue sapphire should I wear? One should wear 3 to 6 carats blue sapphire. Ceylon blue sapphires are best in quality. To get astrological benefits, one should wear Neelam in weight of ratti. Apart from that the weight of the stone also depends upon the weight of the wearer. If the wearer weight id 50 or it’s around then he should wear 5 ratti blue sapphire stone. If you want to clean your gemstone or Blue sapphire ring at home then dip it into lukewarm water and after few minutes rub it gently with hands to remove stains or dirtiness from it completely. You can use the soft toothbrush to remove stains. One should use the soft cotton cloth to clean the stone. This process can be done every month. To purify your blue sapphire stone, remove the ring or sapphire pendant and dip it in sacred gangajal. In Saturday morning, chanting the mantra of shani dev - Aum sham shanaish charaay namah. After this, you can wear a ring or pendant. One should recite the mantra at 108 times. This stone can wear by any zodiac sign who wants to strengthen Saturn in their horoscope. If you’re going through Shani Sade sati or dhaiya, it is highly recommended to wear blue sapphire. Capricorn and Aquariums can wear blue sapphire without any hesitation as these zodiacs are ruled by Saturn. Can use Blue sapphire stone in my engagement ring? Yes, you can wear a Neelam stone in your engagement ring. Nowadays, it becomes a fashion and if you don’t want to wear a diamond ring and bored of this typical trend then you must try blue sapphire stone in your engagement ring. Are these gemstones energized by the mantras or I need to perform some rituals to activate it? We always provide you energized gemstones and you don’t need to do anything before wearing it. Its power activates automatically after wearing gemstones because we already recite the mantras of its ruling planet. Is that true that darker blue sapphire is more effective than lighter one? Color and appearance of the stone are dependent upon its origin and treatment performed on it. In astrology terms, color is not important. You cannot get the better results only if the color of the stone is dark. How to determine that blue sapphires stone is not heated? Always purchase a stone which comes with a lab certificate. Do not trust the local astrologers to determine the quality of blue sapphire or any other stone. Which sapphire is the most expensive in Gems market? Deep blue sapphires are considered high and best quality of Neelam stone. Kashmiri blue sapphires are best known for their quality and effect. One should buy Kashmiri Neelam but their price is quite high as they are extremely rare.